India: An unpredictable, never boring, crazy, amazing place. An Interview with Tameka Porte from Astoria, New York. Please tell us about your trip to India. How long was your stay? Was this your first visit to this travel location? Do you speak the local language? This was my first visit to India. Although I traveled to many places in the country I spent the longest period of time in New Delhi. Also, even though it is stated that English is an official language in India most people in Delhi speak Hindi only and I do not speak Hindi. Was this trip for business or leisure? Did you travel in a group/solo? How did you go about planning your trip? Did you use a travel agent or the internet? I was doing an internship, so I went to India solo. Since I was doing an internship I did most of my planning when I got to India. I did seek out a lot of information from Indian friends and the internet. Over all, how would you rate your experience? How would you describe the treatment you received as a Black American or as an American in general? Would you visit again? Would you recommend this country to another Black traveler? On a scale from 1-10 I would rate my experience in India as a whole an 8, as a Black person traveling in India I would rate it a 3. Eventhough Indians themselves are a people of color I think this greatly adds to the amount of racism a person of color will face. Indians have a color divide among their own people. You can see it from there cast system and Indian society as a whole. The lighter Indians are of higher casts then darker ones. Women in India spend hours lighting their skin and staying away from the sun. Just to give you an idea of how much color is an issue among them. Being Black in India you are automatically considered African. Most Indians have no idea Black Americans exist. Since you are African some Indians will consider you dangerous or a drug user-- especially in the big cities like Delhi and Mumbai. This is due to a small African (mostly Nigerian) population that has made an undesirable name for themselves. On the other hand not all Indians will think this way. Many will stare and follow you due to fascination. The reason I gave my experience in India an 8 and being Black in India a 3 was because being Black in India is not necessarily a good thing. That being said, Indian people in general are very friendly and even though they may find you strange at first, eventually they will look beyond the color and look at the person. I wouldn't recommend India to just any Black traveler. Especially if you dark skinned like myself. 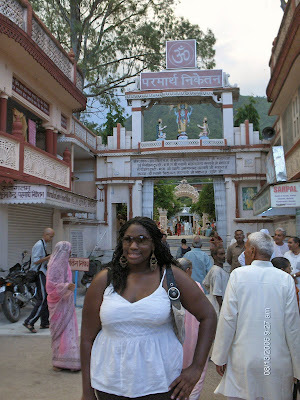 I would recommend India to a Black person that is open-minded and confident about their nationality and history, or to a person that was interested in Indian culture and seeing beautiful sites. I would recommend India to someone who at the end of the day could over-look the stares and occasional following and see the country for what it is. An unpredictable, never boring, crazy, amazing, place. How would you describe the treatment/service you received in your hotel, area restaurants, and stores? Were there any places where you were treated especially well? Were there any areas, cities, neighborhoods in which you felt un-safe or threatened? The safest thing for a Black traveler to do is to stay in tourist spots. When I left tourist spots while on train rides men did surround me and that was threatening, but if you stay within tourist locations and travel with people you should be fine. I was denied entrance into a night club in Delhi because I was mistaken for a Nigerian. It was a kind of discrimination I never faced in America, but I then realized that ignorance is to be ignored and I did not let that ruin my trip. All the other clubs in Delhi and in India were great and treated me extra well most of the time for being foreign. Some clubs waved admission in order to get a cool foreign presence in their establishment. Never travel at dark alone if you are a women but Indians are very helpful and will go out their way to provide assistance if you are lost. What suggestions or advice about this country would you give to other Black travelers? What do you wish you had known about this country before your visit? I wish I knew that most Indians are ignorant about Black American culture. Also, it is important to let Indians know you are American and not from the continent of Africa in order to make them aware of our great culture. Also, educated Indians will try to deny these facts because Indians do not like to admit shortcomings so do not press the issue with your Indian friends if they are denying racism in their country, it is not personal. Walking the Spirit of Paris. An interview with traveler Kim Jones from Silver Spring, MD. Kevin and Brett at the Louvre. Please tell us about your trip to Paris. How long was your stay? Was this your first visit to this travel location? Do you speak the local language? In 2000 and again in 2007 I took a Family & Friends tour of Paris, France. The program was 9 days long and for some it was the first time visiting Paris. While only one person on each trip spoke French, we all got along fine in the city and on day excursions to the countryside with limited French or language guidebooks. The group was traveling to explore Black Paris. 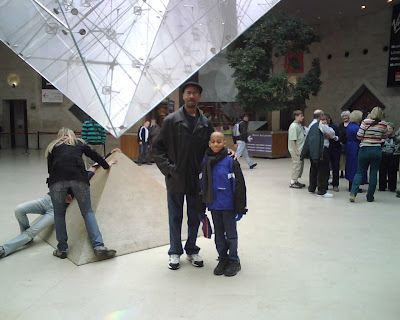 We put together notebooks with facts about Black history around Paris, cafe/restaurant listings, we had a gospel brunch or moroccan dinners and met with local Black business people. We found little community based groups and also had a soiree with locals hosted by an African American woman living in Paris. 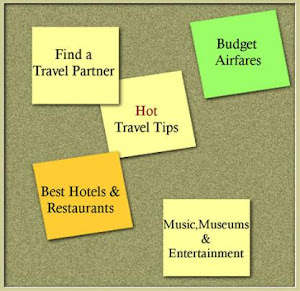 We planned the basic part of the trip with a travel agent and then added our own itinerary. The 2000 program had 8 participants and the 2007 program had 14 participants. Over all, how would you rate your experience in Paris? How would you describe the treatment you received as a Black American or as an American in general? Would you visit again? Would you recommend Paris as a travel destination to another Black traveler? Paris is a must see location and a great time was had by all. We were well received and there were no conflicts, problems or difficulties due to the general diversity of Parisians. In my experience over the years, there are always isolated situations but they are minor and I've never felt they were directed globally at Blacks. As in much of Europe, conflict derives more from class than race but conflict can always arise from racial and ethnic differences. What was your favorite "Must See" location or activity that you would definitely recommend to other Black travelers? What was the biggest cultural difference you experienced during your trip? Did you have any instances of "culture shock"? The biggest cultural difference was watching the French eat mayonnaise on their french fries. How would you describe the treatment/service you received in your hotel, area restaurants, and stores? Were there any places where you were treated especially well?Were there any areas, cities, neighborhoods in which you felt un-safe or threatened? Treatment, service and safety were not problem areas. If any of us decided to venture out at night to small neighborhoods, rather than larger urban areas we went as a group. For some poorer districts on the outskirts of the city we also traveled during the day or in groups. We treated safety as we would in any major city worldwide. Get out to the neighborhoods, get off the beaten path, live like the locals and use an organization like Walking the Spirit to give you the history you need to explore further.